When you meet with a prospective tenant before signing a lease, it is also a good idea to meet their pet. When it comes to 2018 interest rates, the sooner you buy, the better! 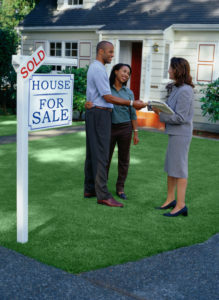 Rates are expected to climb slowly up to 5% by the end of the year. 2017 was a fantastic year for residential sales, and 2018 is shaping up to be even better. If you are planning on putting your home on the market this year or looking to purchase a home of your own, below are five reasons why 2018 is going to be the best year to sell your property. By keeping in mind these three commonly heard complaints and their quick fixes, you’ll look like a superhero with a secret power the next time you are faced with one. If frequent tenant complaints sometimes leave you feeling frustrated or confused as a property manager, know that you are not alone in your experiences while playing the role of a maintenance dispatcher or a referee between neighbors. These complaints, while daunting to address from month to month, are more common than you think, and most of these grievances often have easy solutions that are occasionally overlooked in situations of urgency or miscommunication. By keeping in mind these three commonly heard complaints and their quick fixes, you’ll look like a superhero with a secret power the next time you are faced with one. With the chilly temperatures keeping you indoors for most of the season, now is a perfect time to customize your rental property as a safe and cozy space from even the coldest days of January. Although the chaos of the holiday season may be over, winter has only just begun. 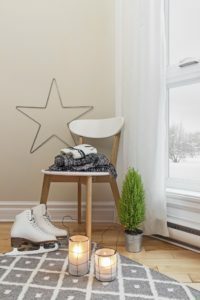 With the chilly temperatures keeping you indoors for most of the season, now is a perfect time to customize your rental property as a safe and cozy space from even the coldest days of January.